Carbon Neutrality is a goal today for many of our clients. And, when it comes to the construction of flexible and adaptable research laboratories, McCarthy is helping by delivering new energy-efficient solutions that contribute to Net Zero energy, water and waste. 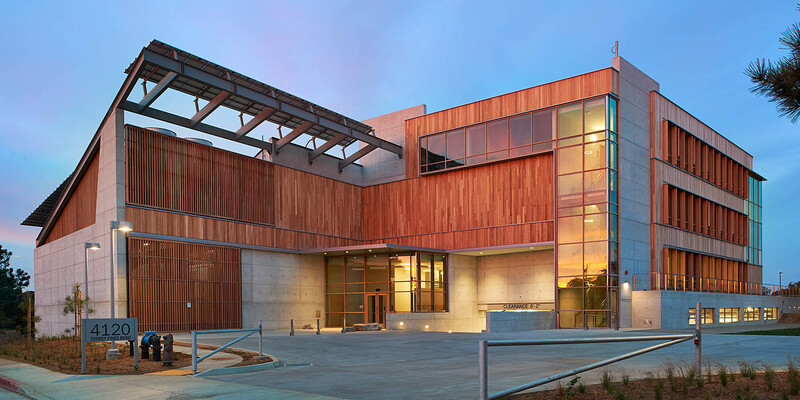 In 2014 we delivered the world’s first Net-Zero research laboratory, the J. Craig Venter Institute (JCVI). Since then, our renewable energy, water and construction experts have been collaborating on projects across the nation to continually innovate and bring new energy-efficient solutions to clients who share our commitment to reducing energy and water consumption. The positive impact of our collaborative initiative has been seen with several key projects, including the renowned Craig J. Venter Institute in La Jolla, California where our rainwater condensate collection for non-potable water within the building reduced the building’s domestic water demand by 70%. Or, the Georgia Tech University Engineered Biosystems Building, which opened in May 2015, and realized our team’s solutions in most of the above-mentioned areas of innovation. We’re invested in developing sustainable advancements in laboratory construction around the nation. Our multi-disciplinary collaborative initiative is succeeding because we are helping our clients achieve their Carbon Neutral goals today, tomorrow and into the future.